On 6 - 7 February, DK Hostmaster warmly welcomed the Marketing Working Group to Copenhagen. The Workshop was well attended both in person and remotely, with about 35 participants from 25 different registries. At the beginning of the meeting, David Fowler (CIRA) announced that he would be stepping down as Chair of the Working Group at the end of the meeting. David has held this position since 2017 and we would like to take this opportunity to thank him for all his hard work! The Working Group has agreed that Lut Goedhuys (DNS Belgium) will take over as interim chair, until elections are held at the Jamboree in May. As well as the tour de table session, the meeting covered several topics, including registrar-focused discussions, thought leadership, market research, registry structure, new or evolving branding exercises, content marketing, the publishing of various reports, a domain name monitoring service and more. The WG also experimented with different formats, including break-out sessions and a live interview, in order to give participants more opportunity to speak. 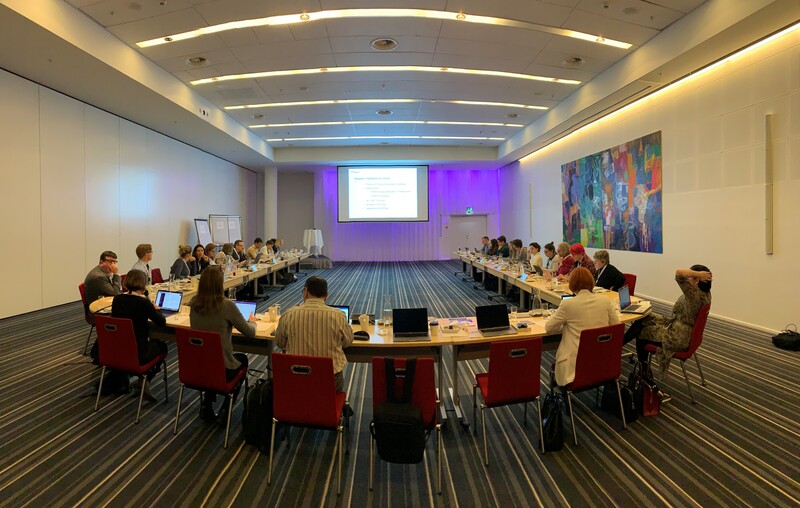 The workshop ended with an agenda-building session, where the possibility of holding a joint meeting with the R&D Working Group was discussed, as well as a constructive and positive feedback round where it quickly became apparent that the meeting had been a huge success. The next Marketing Workshop will be held during the Jamboree in Amsterdam on 27 May.